Today, I invite you to consider initiation into a secret society. You will need to take some time and effort during the pledge period- many will not complete the training. The society gives you, however, a very generous amount of time to complete your quest: The rest of your life. 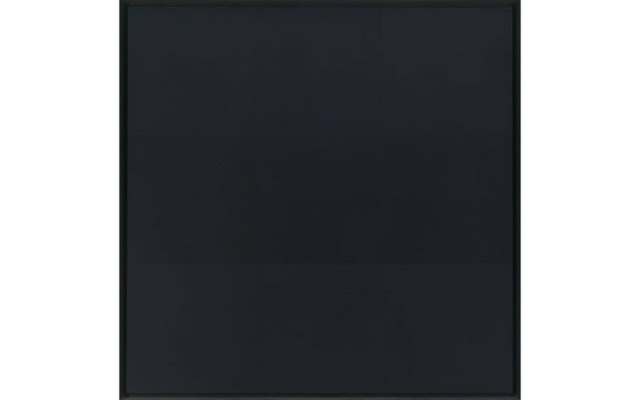 This is one of his black paintings- It will look like nothing here, like the void, the sublime abyss. That in itself is sufficient, plenty, more than enough, even; but, there is more to Ad Reinhardt than nothing. 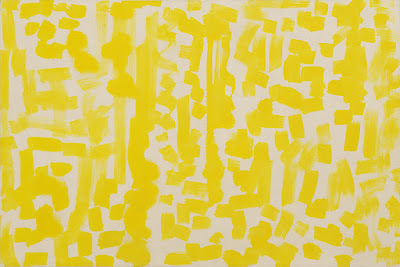 To touch it, to feel it, you must visit one of these works in person. A great pilgrimage is necessary. You will need a spear and magic helmet- named Curiosity and Intellect. Undertake this quest with all my best wishes. Once you have completed your mission, seen and felt, and understood these pure paintings, you are in, you may wear your special hat and pin, and your membership is lifetime. As it is a secret society, it has no name, and we have no meetings, except for when we stand in the glory of these paintings and meet transcendentally on the plane of appreciation. See you at the next clambake or convocation! More about the man. I know you will be smitten by him! He is a delight in every way. Be sure to enjoy his droll art comics. 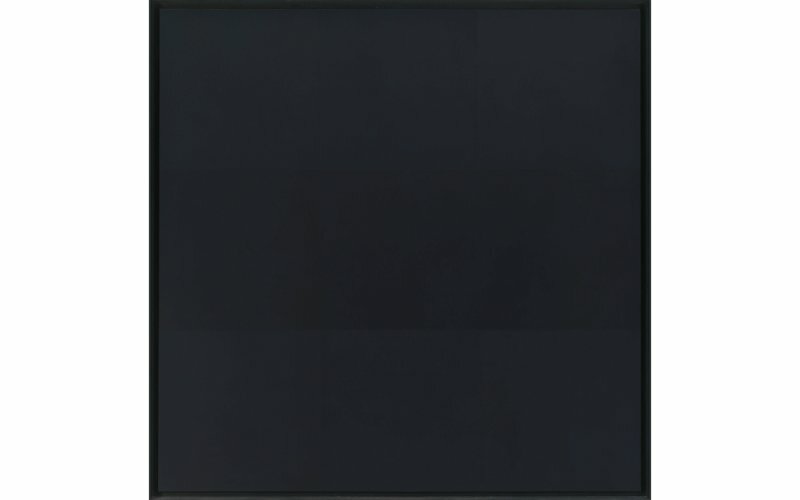 Here are some places you can find a black Ad Reinhardt painting: The Guggenheim, The Whitney, Moma, The Tate.